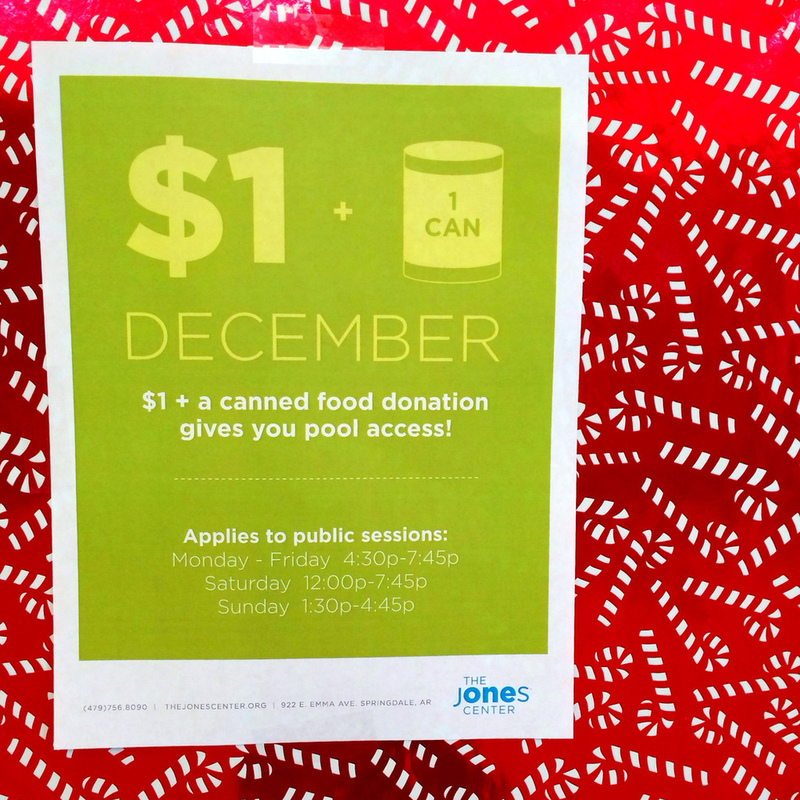 During the month of December, The Jones Center offers visitors the opportunity to help their community while getting in a winter swim. Swimmers will be charged the reduced price of $1 if they bring in a canned food donation during public swimming sessions. “We realize that families are looking for ways to stay active during the Christmas break,” said Director of Recreation, Michael Kirk, “and think this reduced price is a great way to invite folks in while helping the less fortunate in the community.” He went on to say that all donated canned and non-perishable food will go to the Northwest Arkansas Food Bank. The Jones Center will be taking the food donations both at the recreation desk (where swimmers enter the pool) and at the reception desk where members of the community are welcome to donate.